Tatara Fujita wants to qualify for the JDSF Grand Prix, but he has a huge problem: he’s partnerless in a sport that regards partnership with the same seriousness as marriage. There is one person who might fit the bill: Fujita’s classmate, Chinatsu Hiyama, who has a love-hate relationship with dance but appears to have a good deal of skill. However, Chinatsu, despite being a fan of Fujita’s teacher Kaname Sengoku and Sengoku’s partner Chizuru Hongo, has made it clear to Fujita that she thinks dance is lame, and she is hesitant to return to competitive dance. The clock continues to click as Fujita tries to figure out if he and Chinatsu can sync up their dance and be competitive. 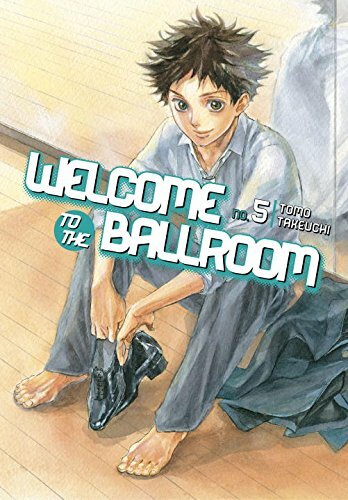 Welcome to the Ballroom’s sixth volume shows the continuation of Fujita’s struggle to kickstart his competitive dancing career by finding himself a partner, and this makes for a delightful experience that pays full tribute to the serious of the process of making a perfect pair. After being informed of the great difficulty dancers face in finding partners as well of the fact that he isn’t exactly acquainted with many eligible girls, Fujita turns his attention to his classmate, Chinatsu, who was introduced in the previous volume as a skeptical foil to Fujita’s enthusiastic outlook on dance. With Sengoku and Chizuru’s urging, Fujita begins trying to figure out if Chinatsu could be a partner for him, and the rest of this volume is primarily focused on the difficulties that come along with this. One of the most enjoyable aspects of this volume is the way that this series quickly elevates Chinatsu to the status of quasi-protagonist by fleshing out her personality and motivations with a high degree of seriousness. We could have easily been presented with a one-sided tale of Fujita trying to simply get a partner, but instead, we get a number of scenes following Chinatsu’s experience of have dance thrust back into her life once again. This was engaging because we see quickly how her prior experience with dance shaped her interactions with Fujita and attitude toward dancing. We also get a scene as Fujita and Chinatsu try dancing together that flips our conceptions of the roles of partners in dance right around quite quickly while highlighting effectively how much ground Fujita has to cover before he can compete at the high level as a leader. The product of Chinatsu and Fujita pairing up is their first real competition as they enter into an amateur event, and this dance scene delivers an entertaining spectacle that feels completely true to the status of Fujita and Chinatsu’s tenuous partnership. This scene is a significant change from the other dance scenes because it actually goes pretty poorly – so far in this series Fujita has had the luck to dance with partners who were both experienced and willing to work with him, but the dominant theme of this dance is the complete disconnect between Fujita and Chinatsu as they limp their way through. This is profoundly interesting as a learning experience as we see both Fujita and Chinatsu trying to figure out how to salvage their dancing, and the conflict between the two will be interesting to watch as the two try to figure out how to match their step. The remainder of the volume considers the fallout of Fujita and Chinatsu’s first event as Fujita seeks out ways to bridge the gap between their dancing styles before their next event. 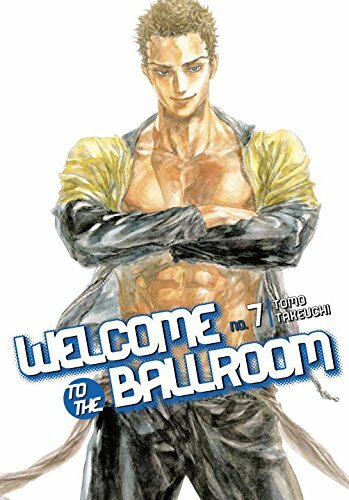 The answer comes to him as he visits Kiyoharu Hyodo’s house to consult with Hyodo’s mother, Marisa, who happens to be a prolific dance instructor. One of the enjoyable aspects of this series has been Fujita’s drive to better himself, and it was cool to see him challenged in quite a profound way by Marisa as she pairs him up with one of her male students to really hammer home Fujita’s flaws. It’s also worth noting that this volume is just as gorgeously drawn as we've come to expect from this series in portraying the act of dancing in a breathtakingly fluid yet fierce manner. This is particularly true in the way that the art takes on a certain roughness and violence to emphasize the disconnect between Fujita and Chinatsu as they struggle to try and connect. The dance that Fujita has at the end of the volume with one of Marisa Hyodo’s students is also unique because the art emphasizes the way the brand of aggressive dance that sees Fujita unwittingly made to follow. This series does a great job using its art to underscore certain themes as well as styles of dance in clear ways, and this was a highlight of this volume. 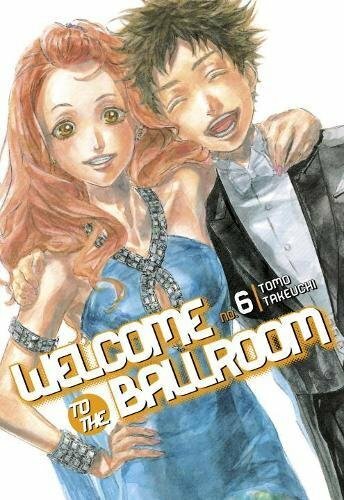 All in all, this volume puts on one heck of a show by capturing the struggle Fujita and Chinatsu go through both on and off of the dancefloor in trying to be partners. Fujita’s progression takes an exciting new turn in this volume, and I’m definitely on board to see the path that he and Chinatsu will take if they want to become a viable competitive force. Really, this volume ends up being the distinct story of two people trying to figure out how to make dance work for them, and seeing the way that both Fujita and Chinatsu approach the idea of being the type of dancers necessary to make their budding partnership work was a great way to build on Fujita’s overall story thus far. 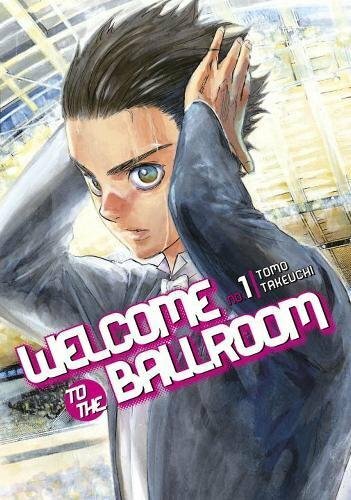 Welcome to the Ballroom Vol. 6 was translated by Karen McGuillicudy and published by Kodansha Comics USA on July 11th, 2017. Created by Tomo Takeuchi, the series runs in Kodansha’s Monthly Shonen Magazine.